Today’s post takes us back to the beautiful Rainbow Beach Hotel, where Codey & Kerry celebrated their wedding earlier this year! 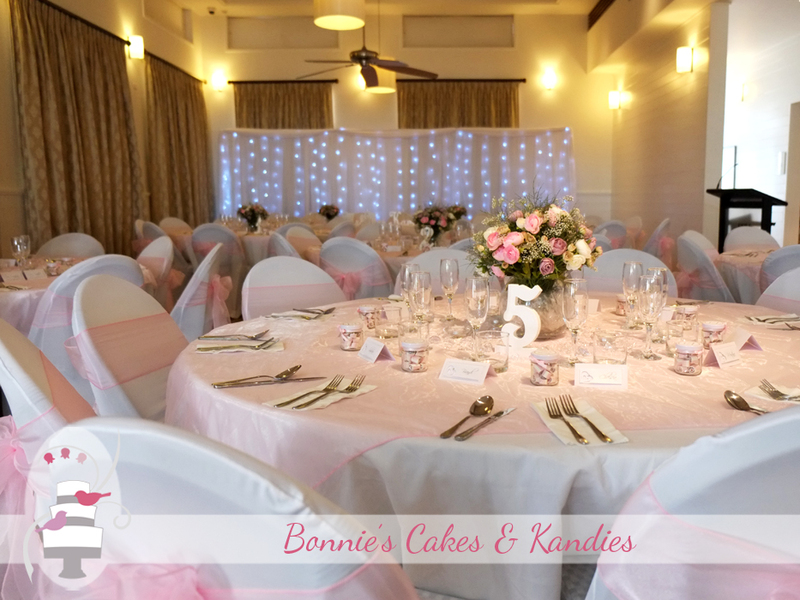 I always enjoy delivering to this venue – the rooms look so well presented, with a lot of different options for seating configurations and personal touches to make each wedding reception unique. 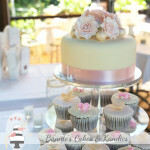 Codey & Kerry enlisted the help of Tin Can Bay Rainbow Beach Weddings and Party Hire to assist with part of their decorating. 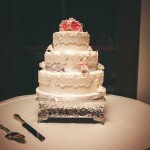 You may not be able to tell from the photos, but Codey & Kerry’s cake was actually very large! The bottom tier was 14” in diameter, so final assembly took place at the venue to allow me to lift and properly stack each tier of this very heavy cake. 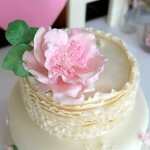 Once assembled, I arranged 53 handmade roses and rosebuds on the cake, along with some white leaves. 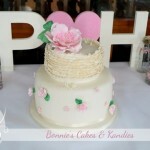 A simple leaf and vine pattern of piped embroidery was repeated around the sides of each tier, and I added a sprinkling of edible gems over the top of the cake once finished. 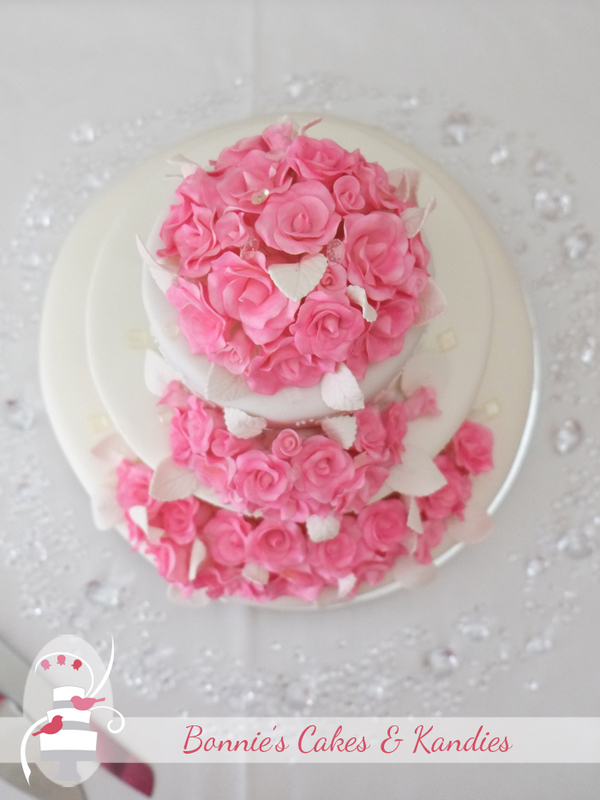 You can see some of them sitting on top of the flowers on the top tier in the photograph below! 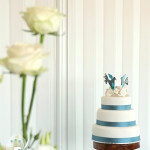 Codey and Kerry chose fruit cake, white chocolate mud cake, and chocolate fudge cake as their cake flavours. Having decided to keep the top tier, this very thoughtful couple ordered a separate fruit cake to be served to those guests who prefer the traditional fruit cake flavour. How very sweet and kind! 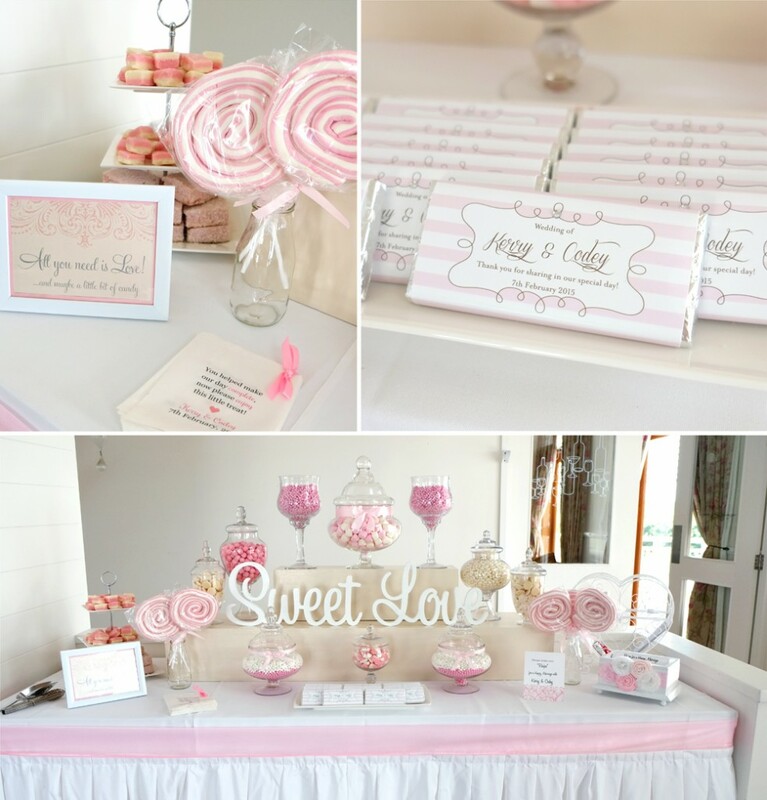 Speaking of sweet – this gorgeous lolly buffet looked so inviting! 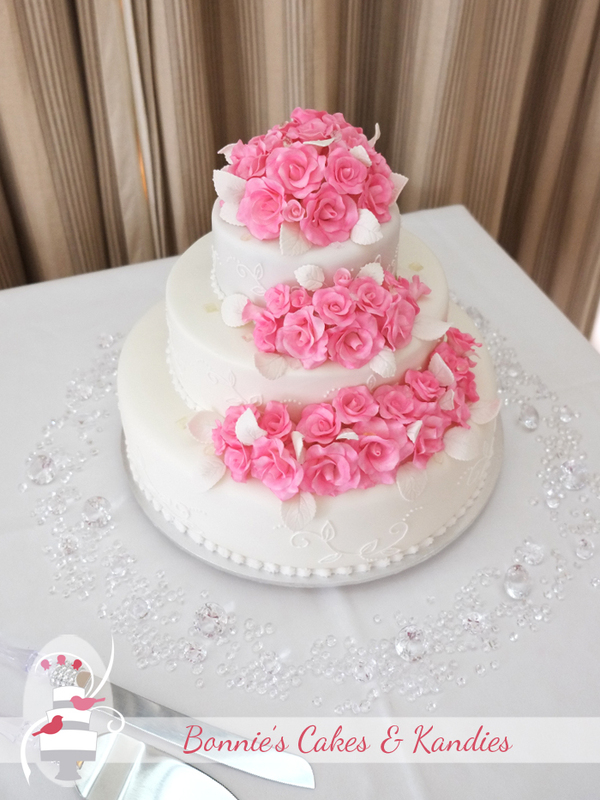 Everything was matched to the pink colour scheme, and I can just imagine how much fun Codey & Kerry and their guests had enjoying these sweets! 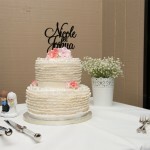 To Codey & Kerry – thank you so much for allowing me to create your beautiful wedding cake! I hope that as you cut into the top tier on your first anniversary, you will enjoy reflecting on many happy memories from not only your wedding day, but every day since. Congratulations!